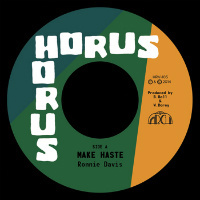 Rating: Where next for latter-day reggae heroes Horus Records to cast their eye but in the direction of legend Ronnie Davis of The Tennors and Itals fame? 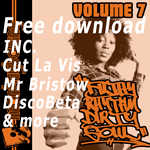 Ideally, what you’d want to do as young upstarts on a long established scene is get hold of one of its founders from back in the day, record a new early-70s-style reggae-soul riddim on real instruments (straight to analogue tape), get said legend to record a new vocal, press to 45 and then sit back with a suitable narcotic, soaking up endless praise about how Make Haste is a modern classic to rank with the oldies. Ronnie and the Horus crew should be getting comfy right about now. The devil might have a lot of good tunes but Jah’s got a few too.